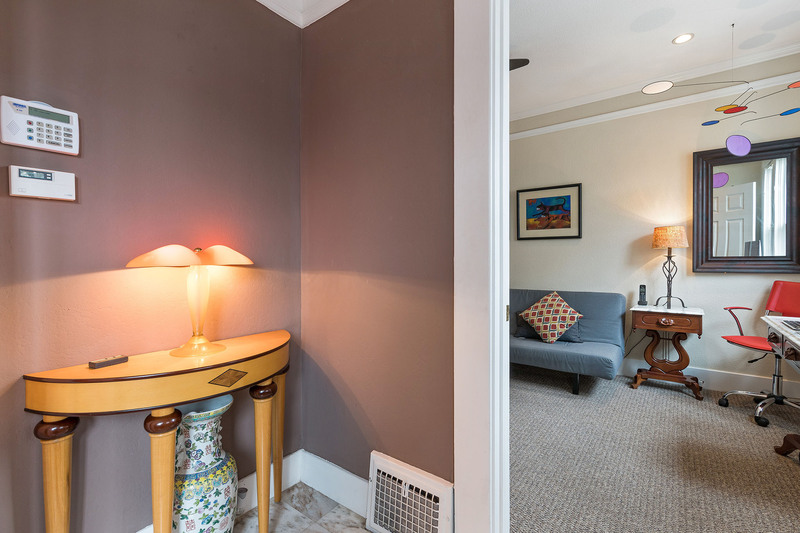 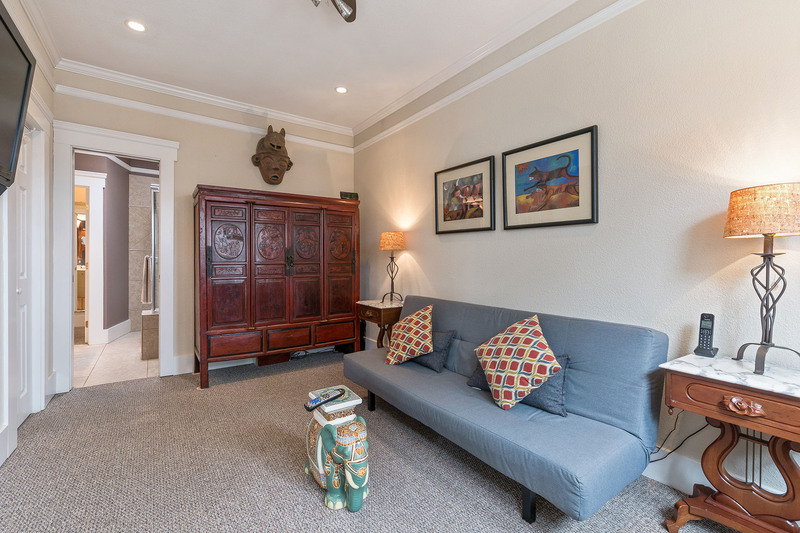 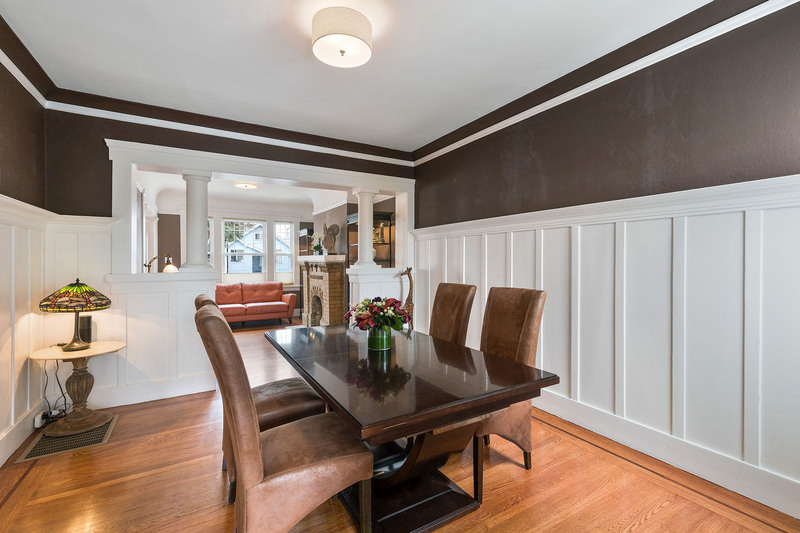 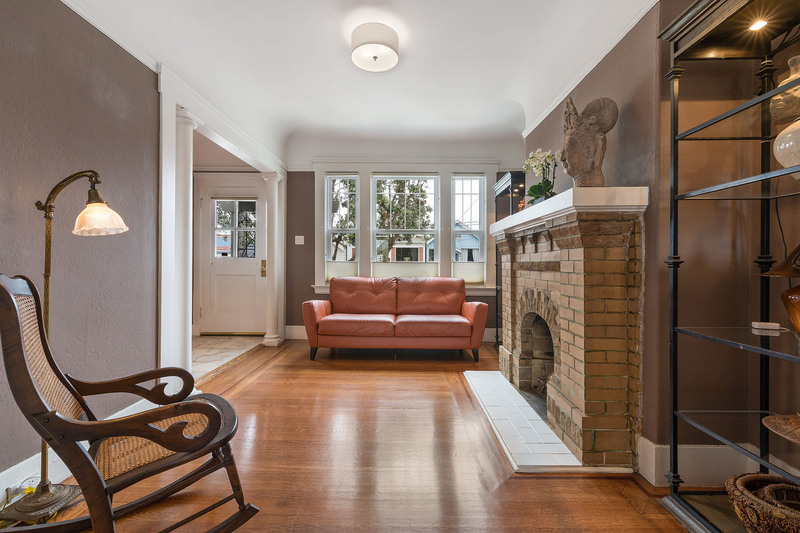 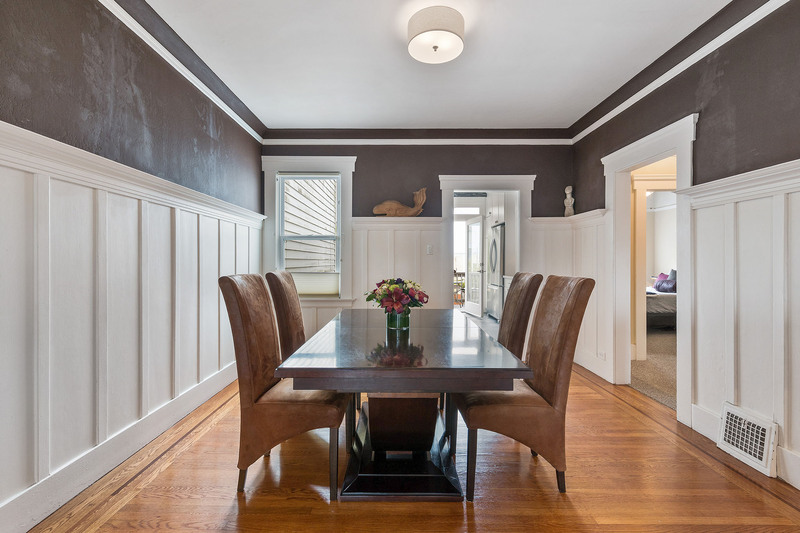 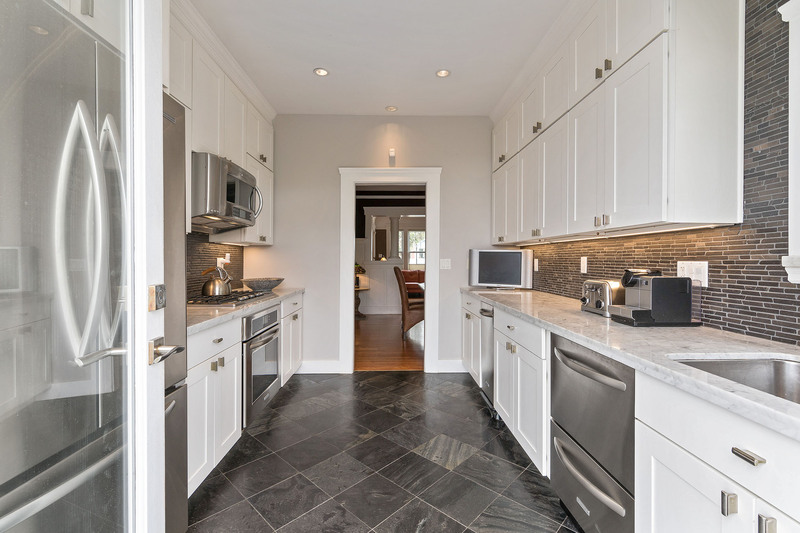 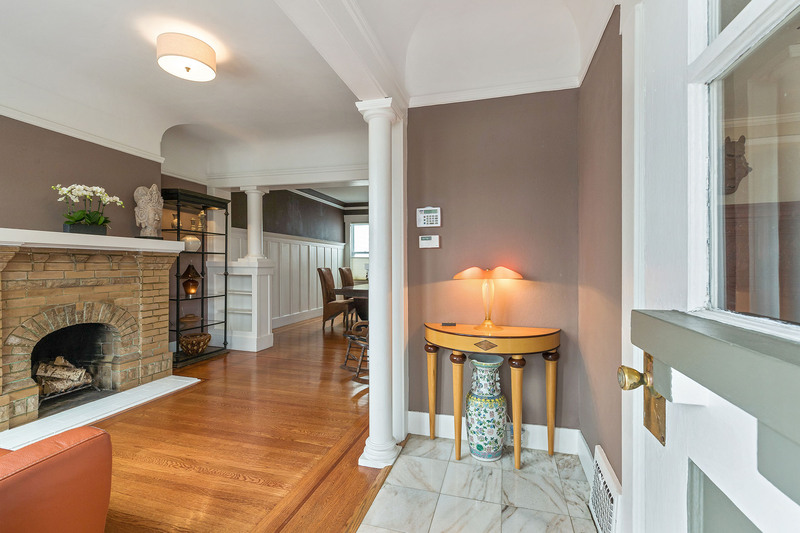 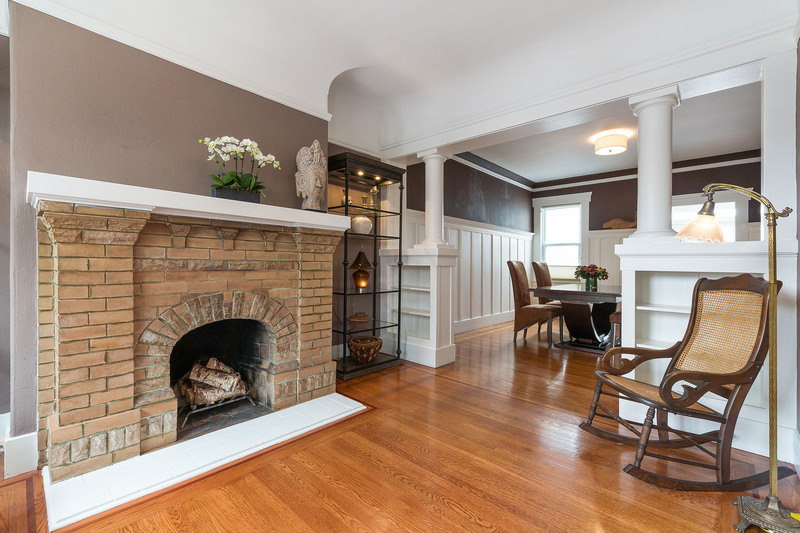 Outstanding Arts & Crafts-style, single-family home, located on a great block in the hot Ingleside District of San Francisco. 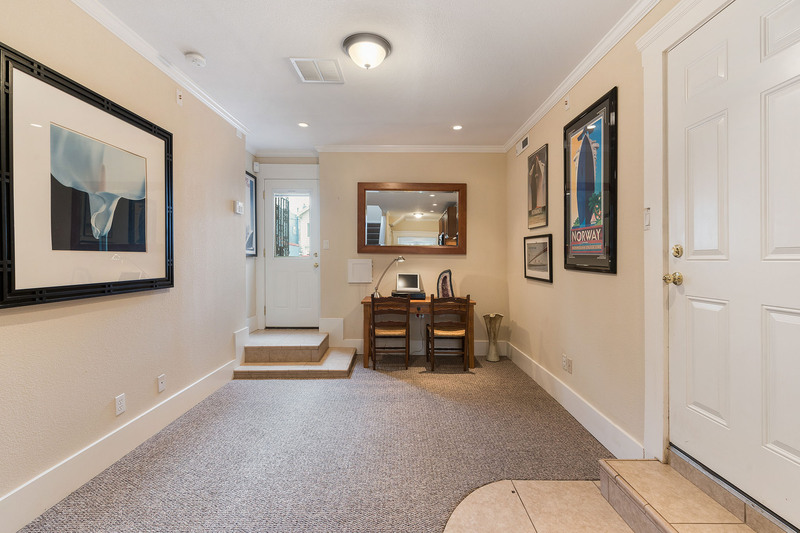 Main level boasts living room with fireplace, formal dining room, remodeled kitchen opens into nice deck overlooking the deep backyard. 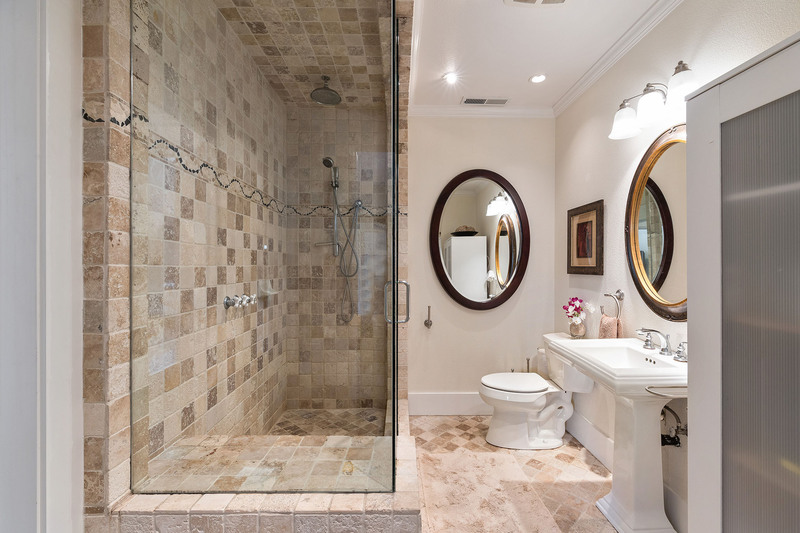 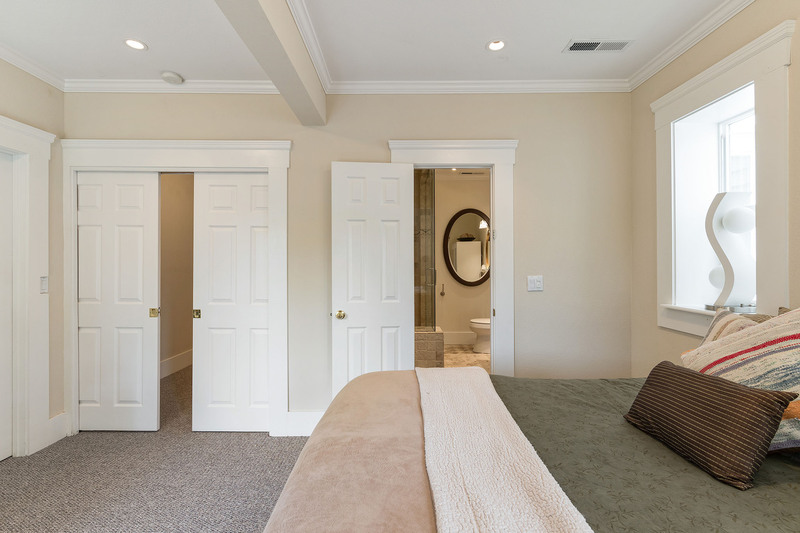 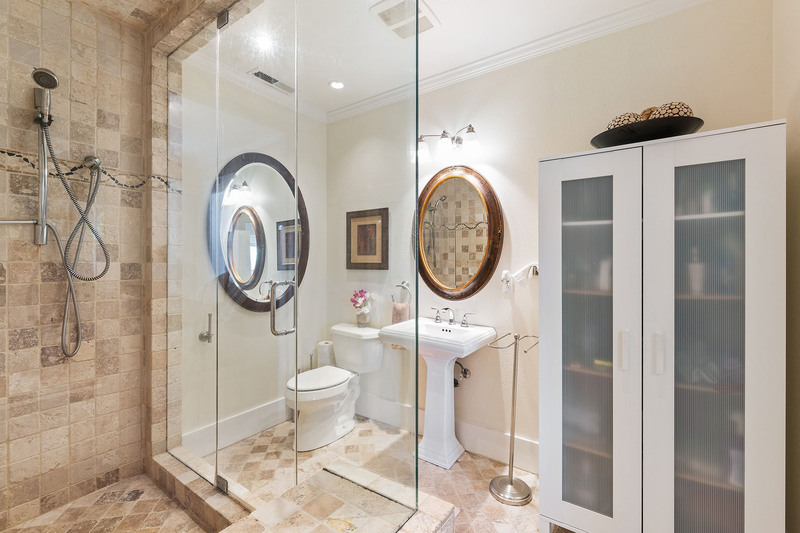 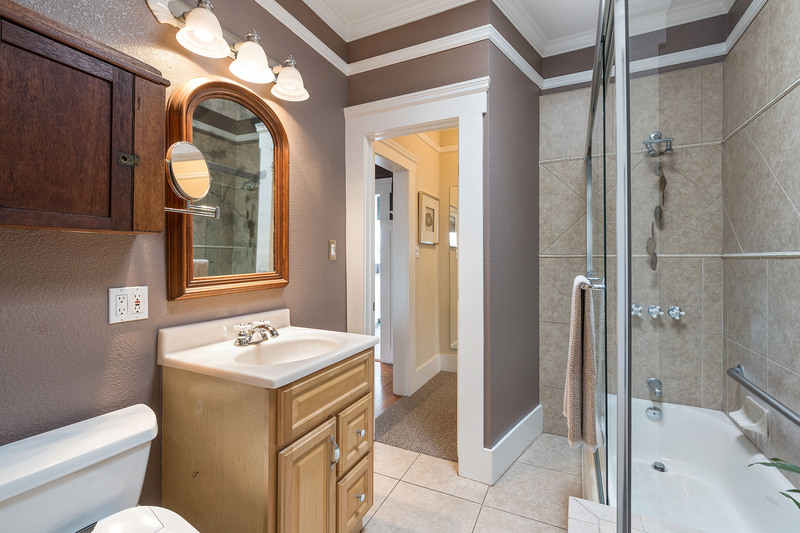 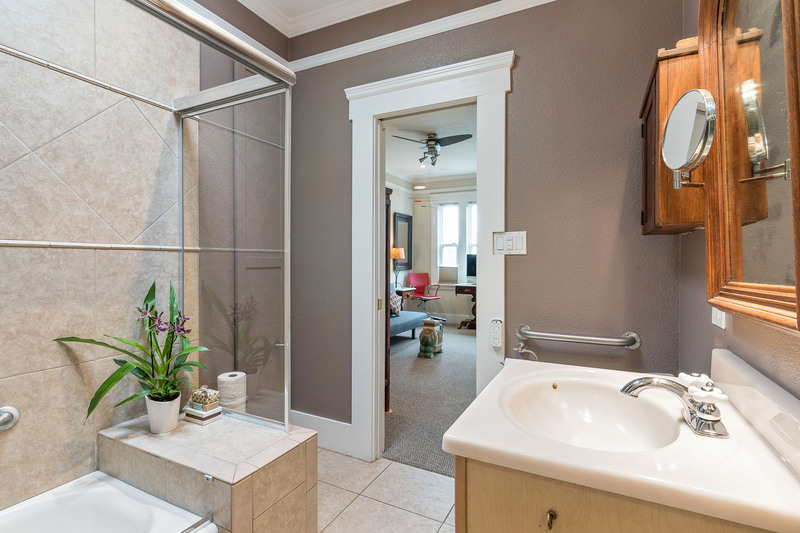 Two bedrooms and upgraded bathroom complete this level. 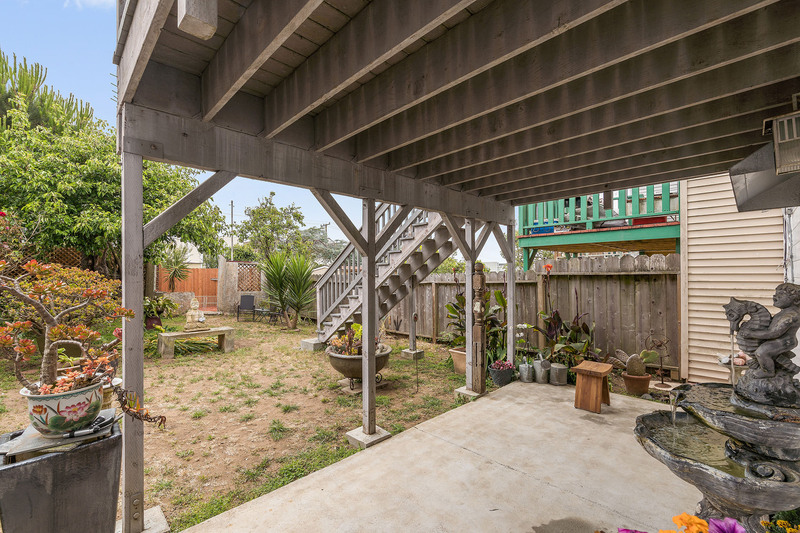 Garden level has separate entrance opening into sitting room, fabulous remodeled bathroom and bedroom with French doors opening into the back deck and back yard. 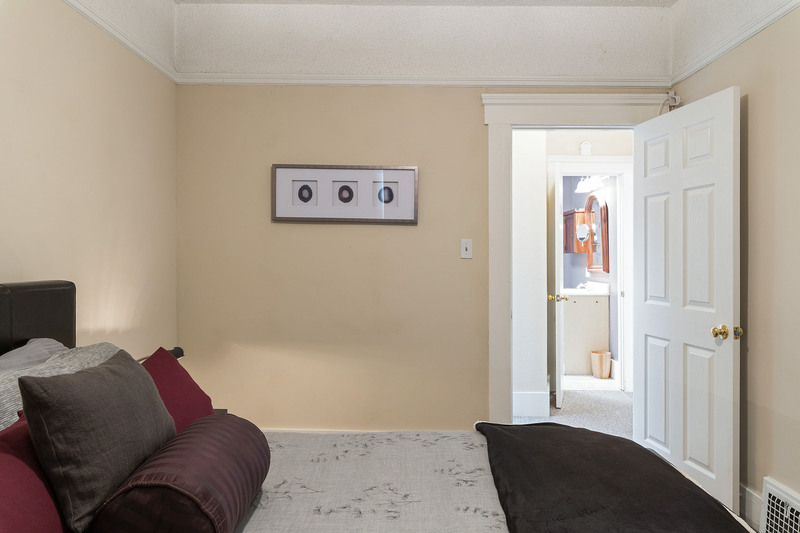 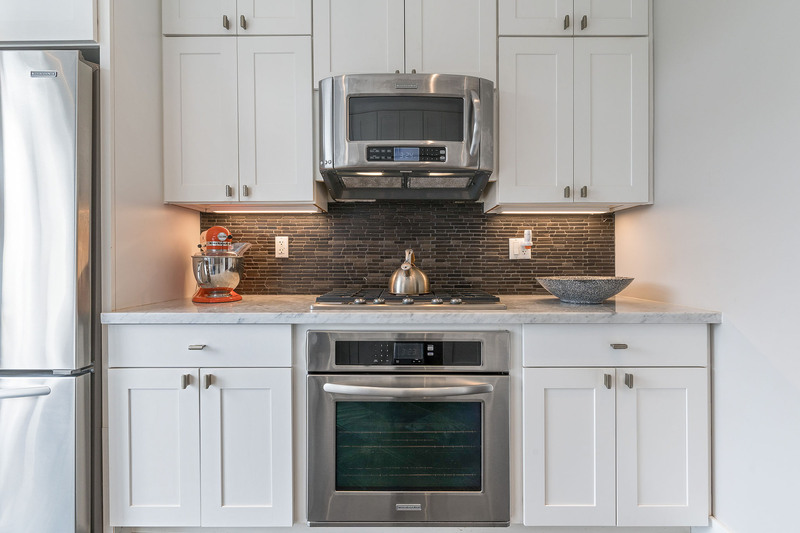 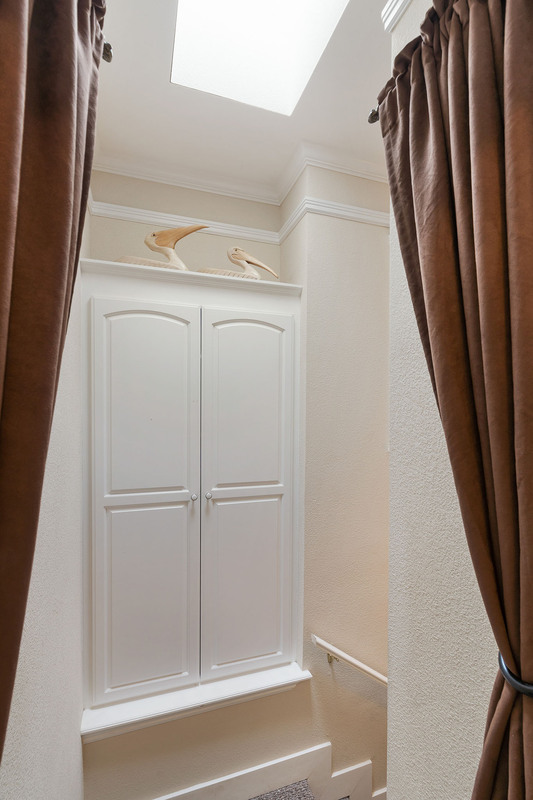 Garage has laundry facilities, one-car parking and parking for one car in the driveway. 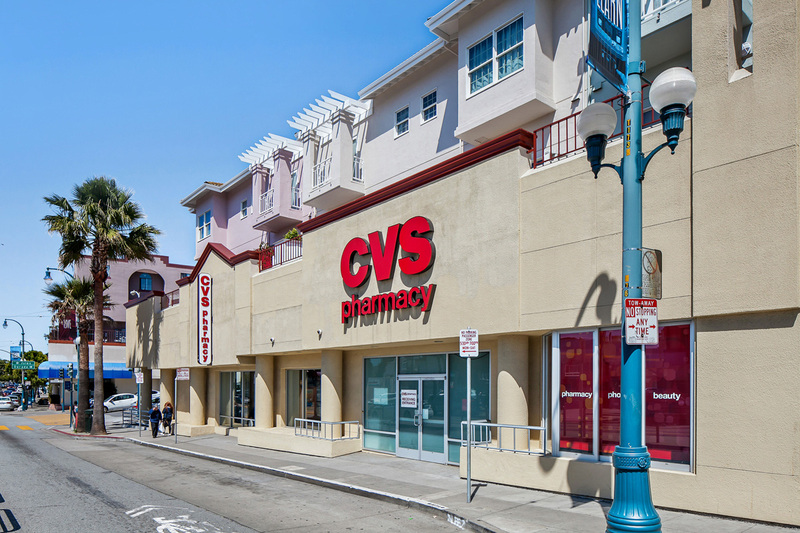 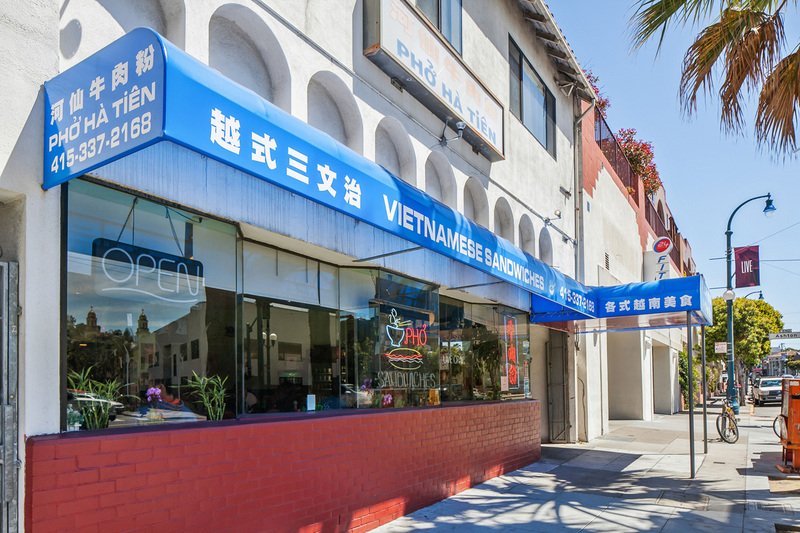 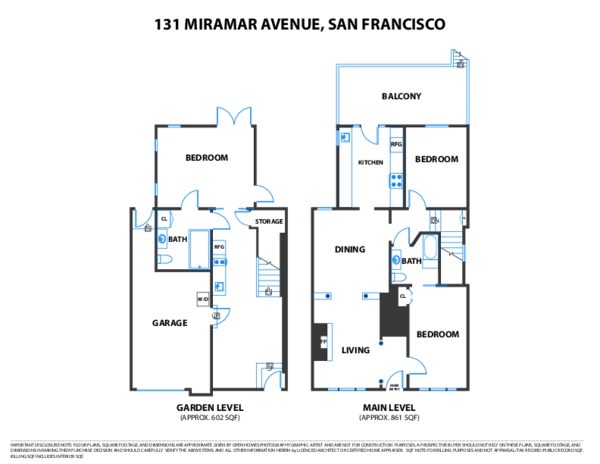 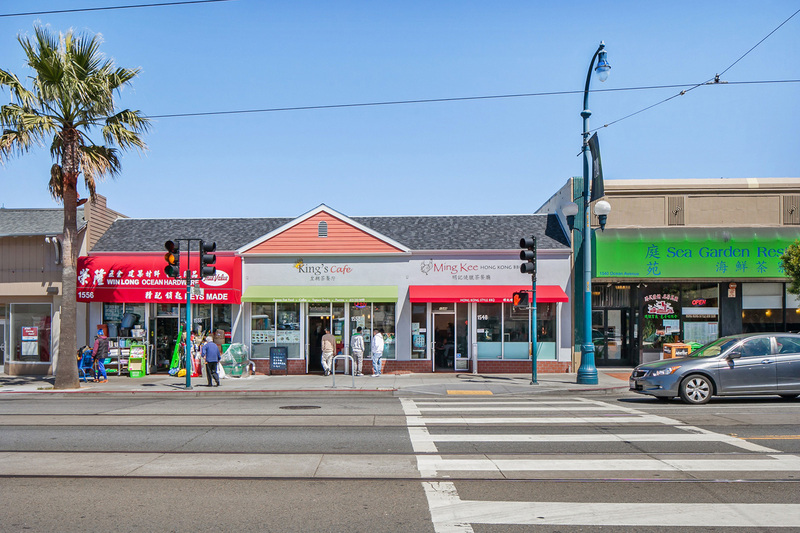 Fabulous location, walk to trendy Ocean Avenue shops, stores, restaurants, Whole Foods, City College and transportation. 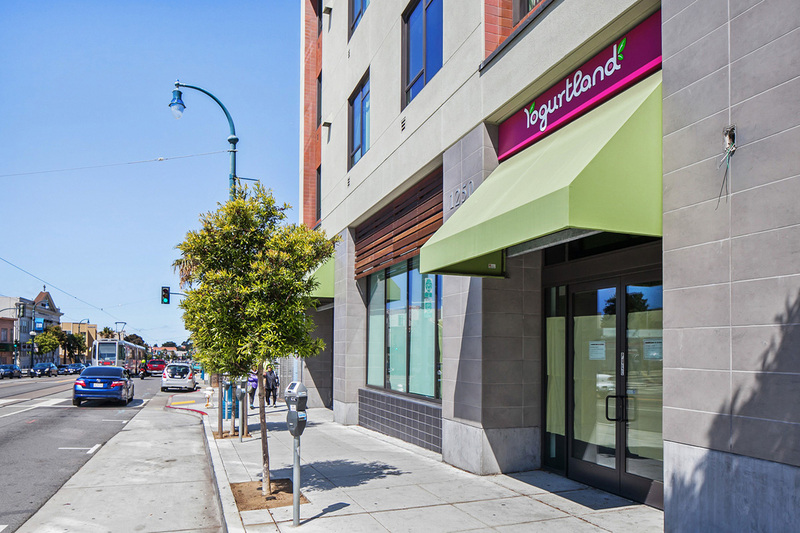 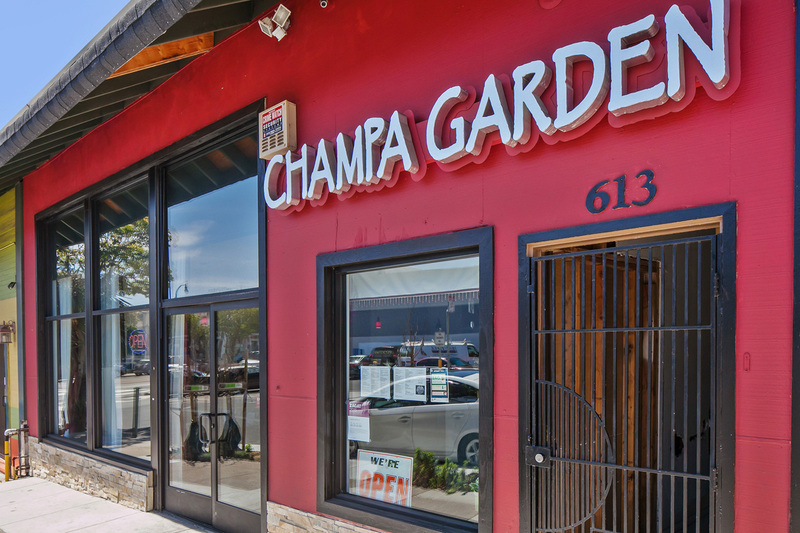 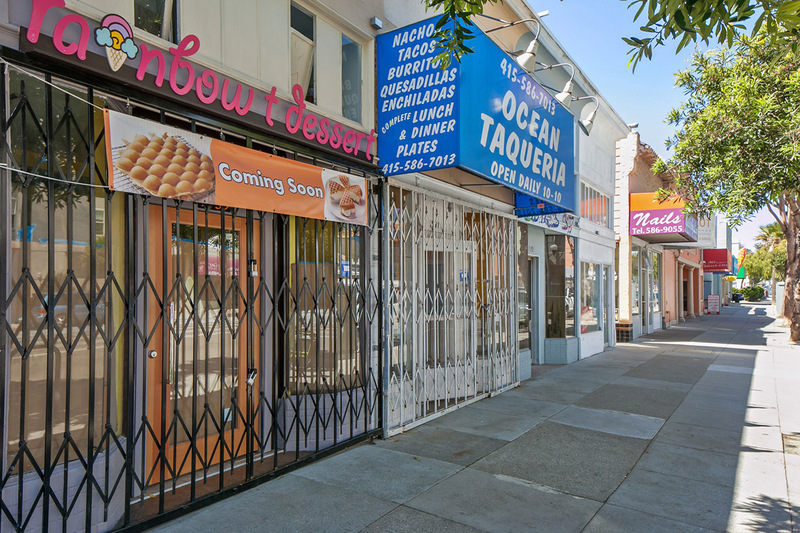 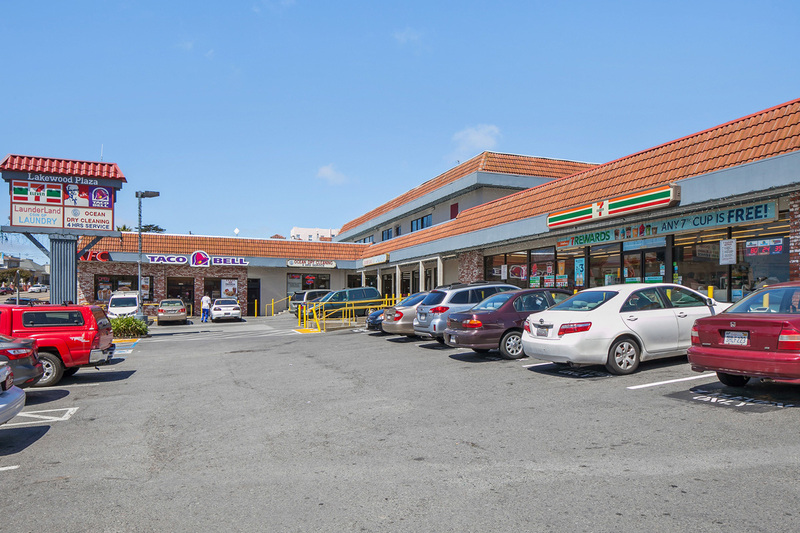 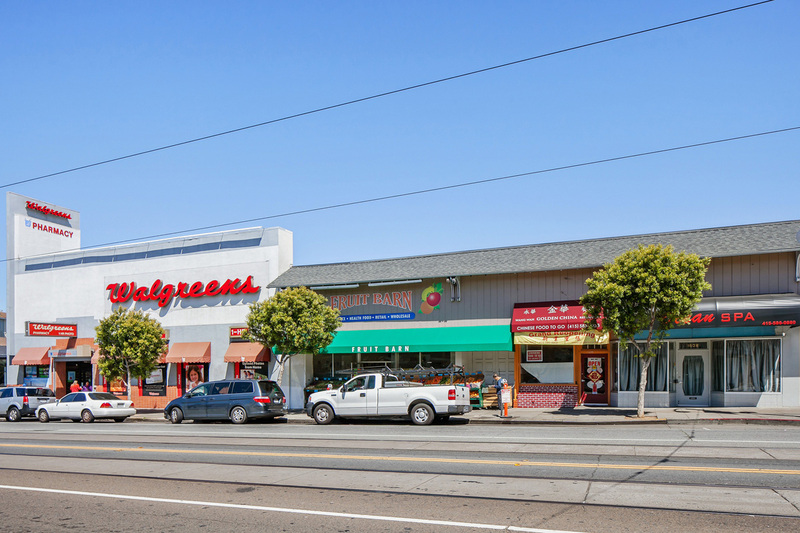 Also close to BART, Highways 101 & 280 and a short drive to Stonestown Galleria and West Portal shopping. 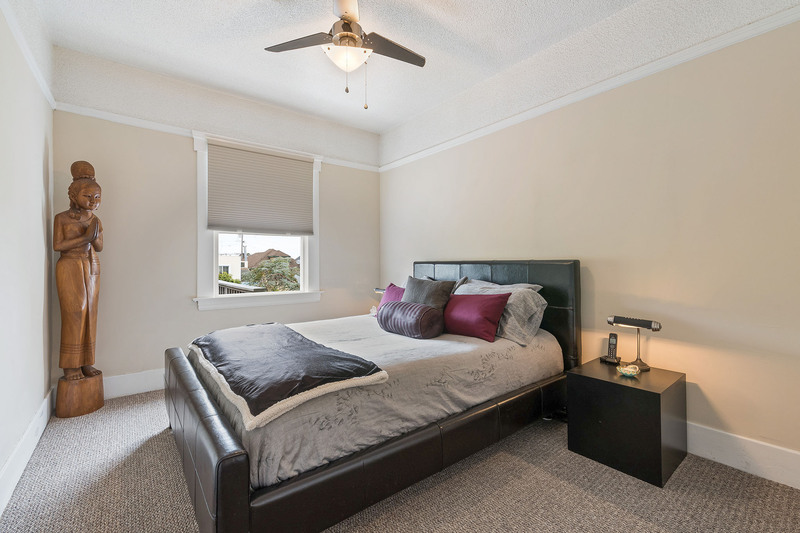 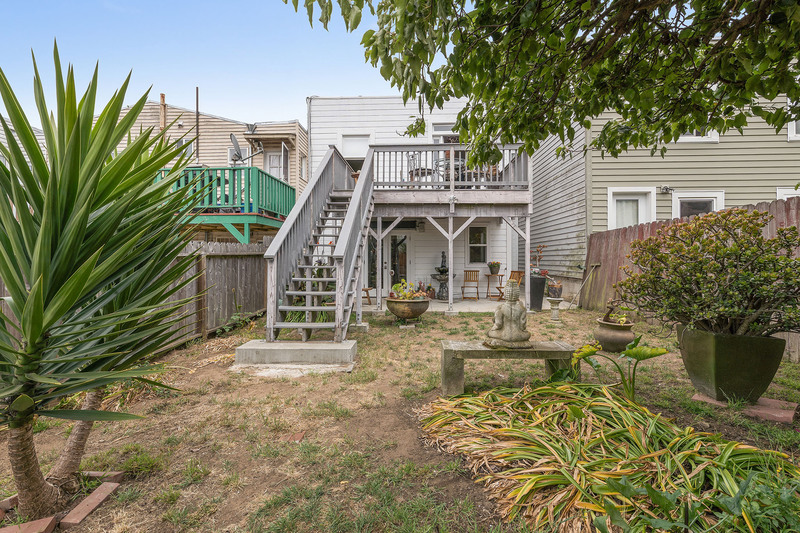 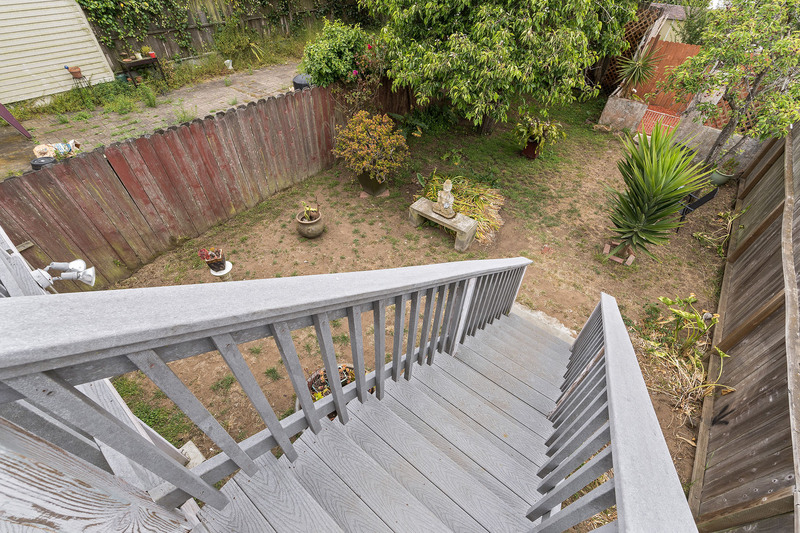 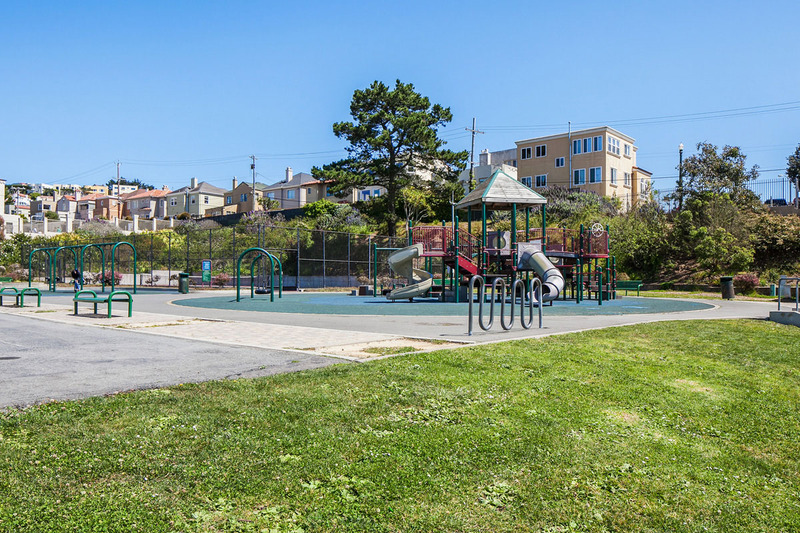 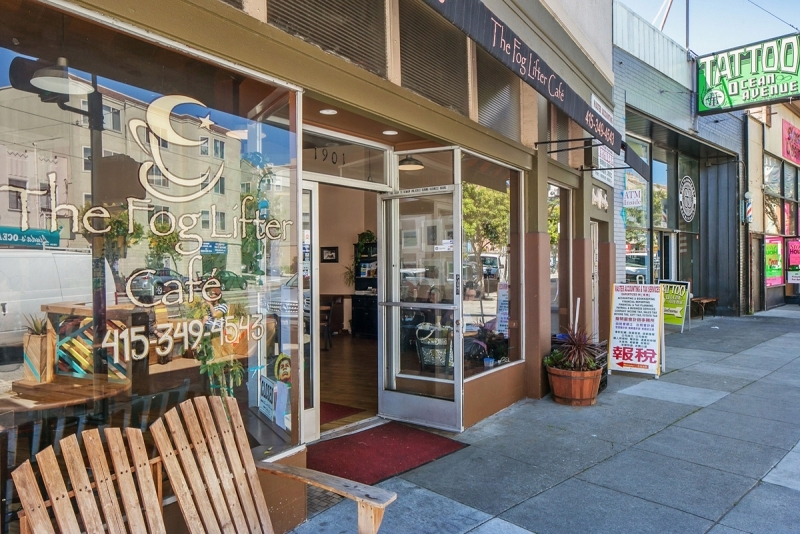 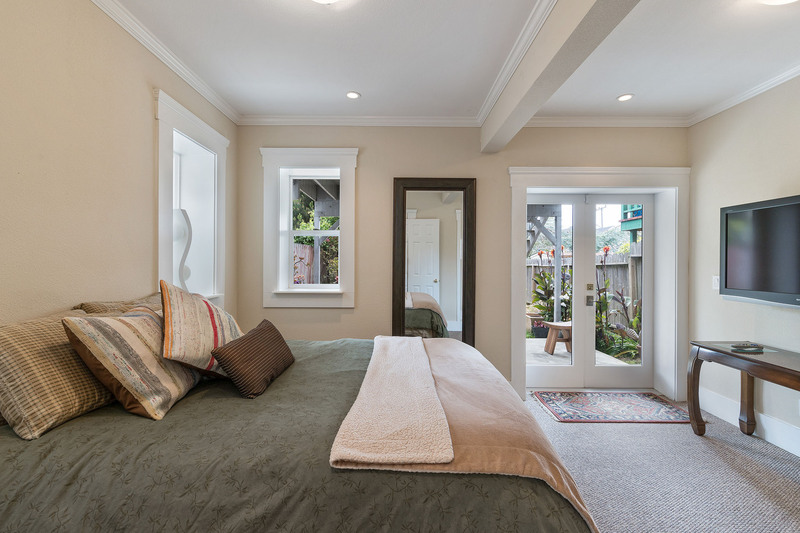 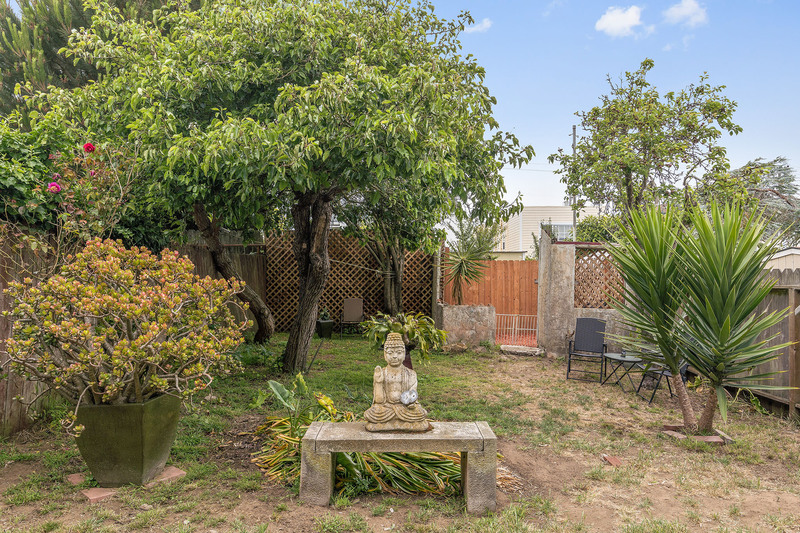 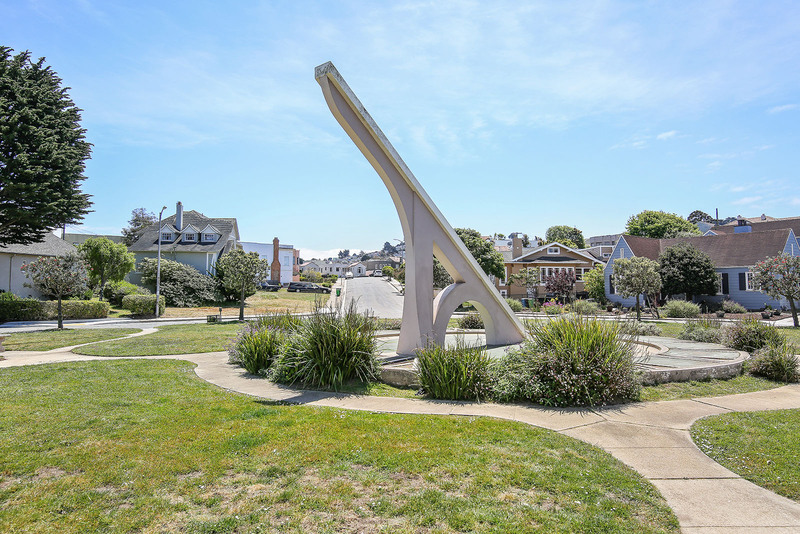 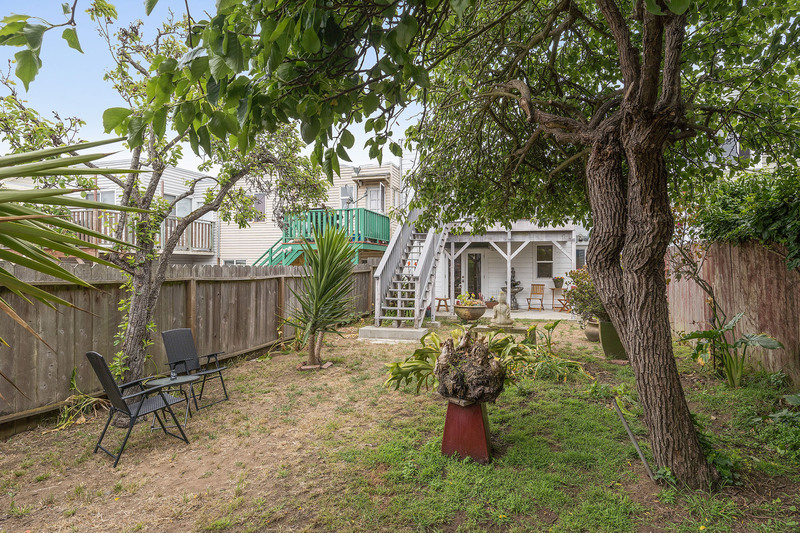 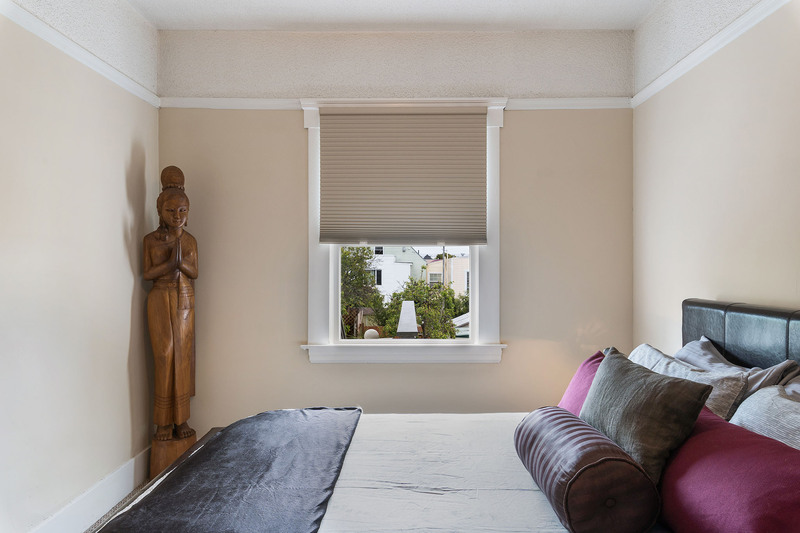 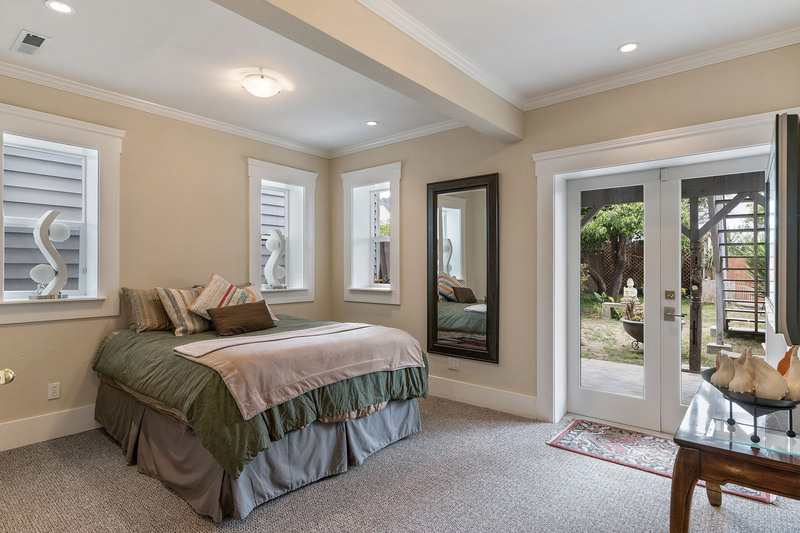 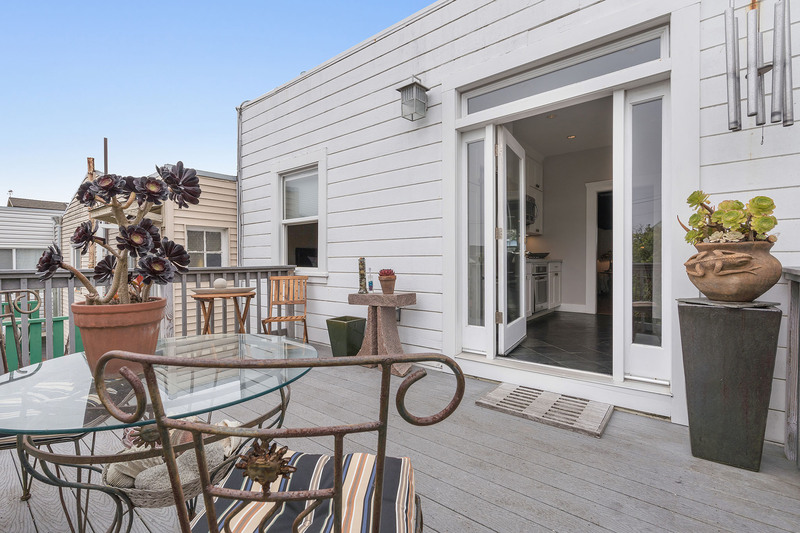 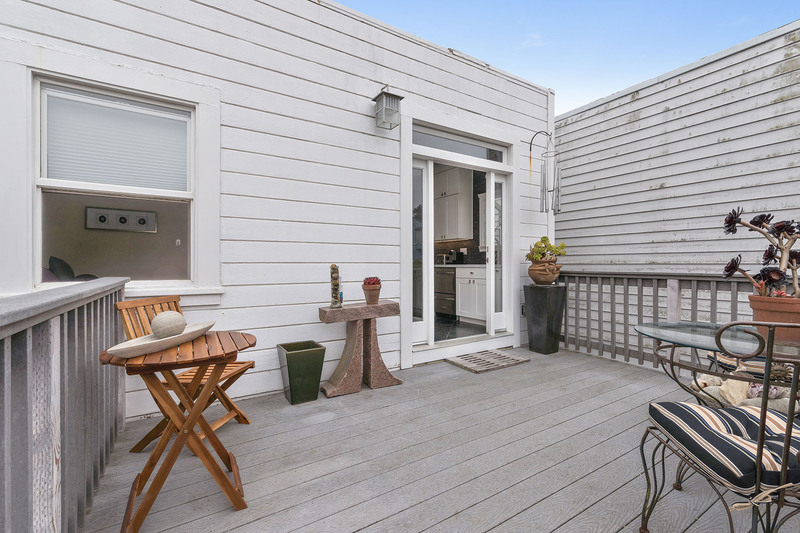 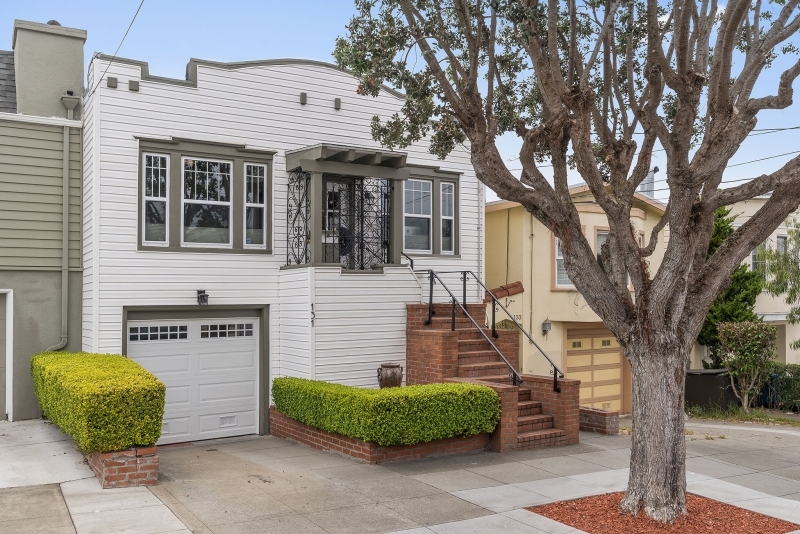 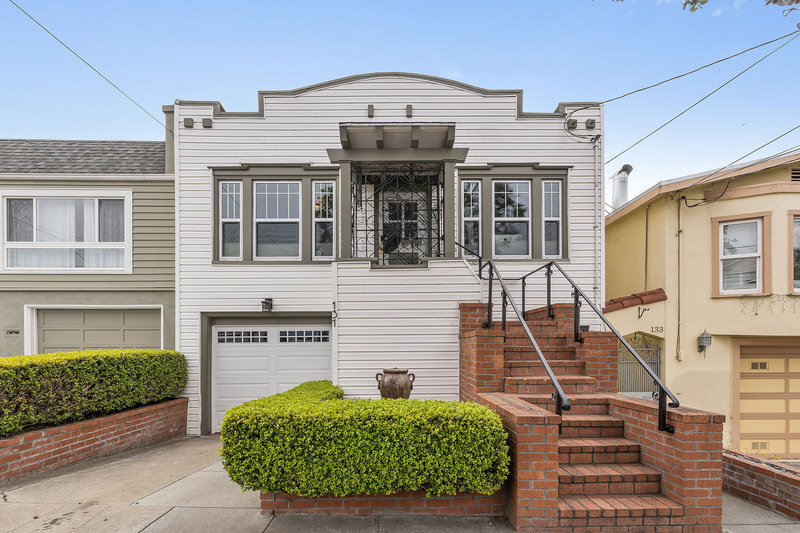 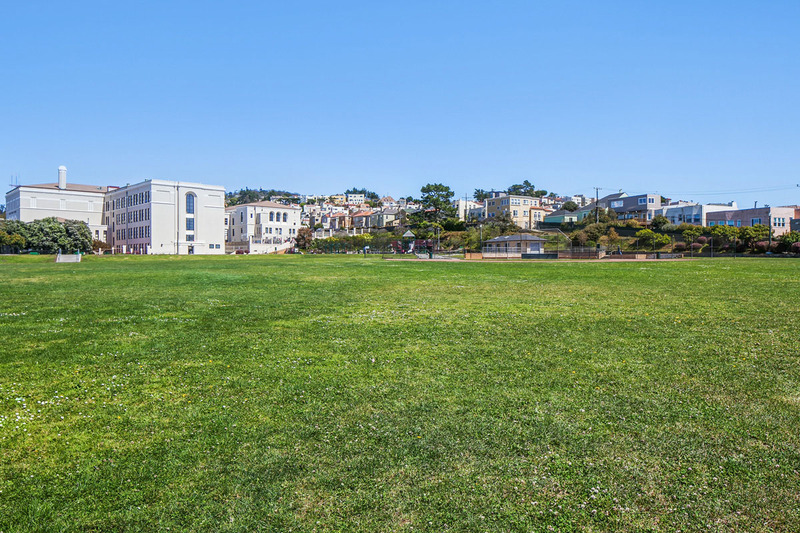 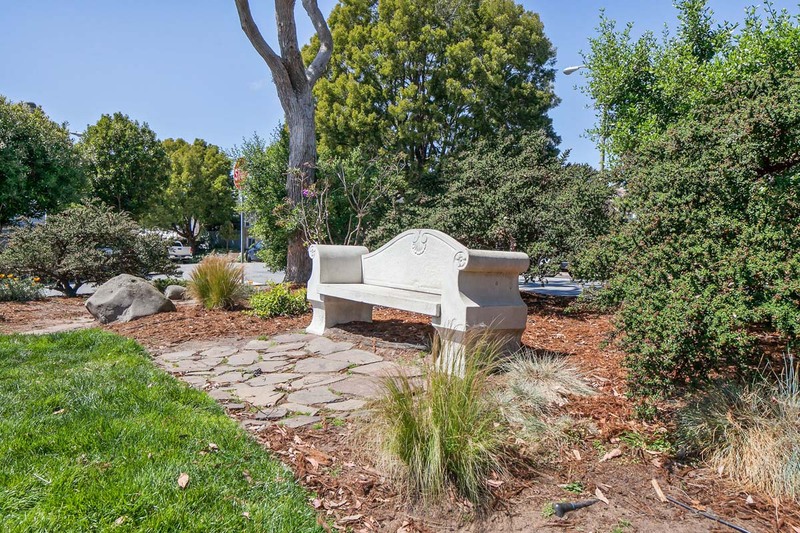 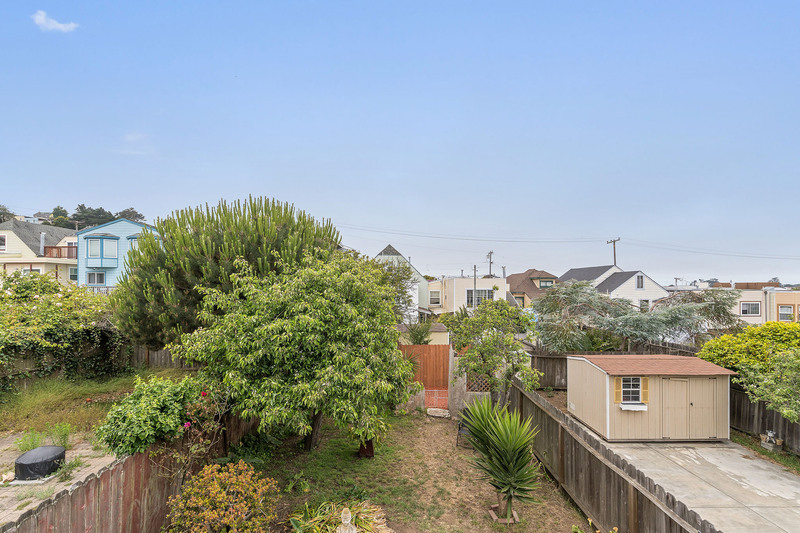 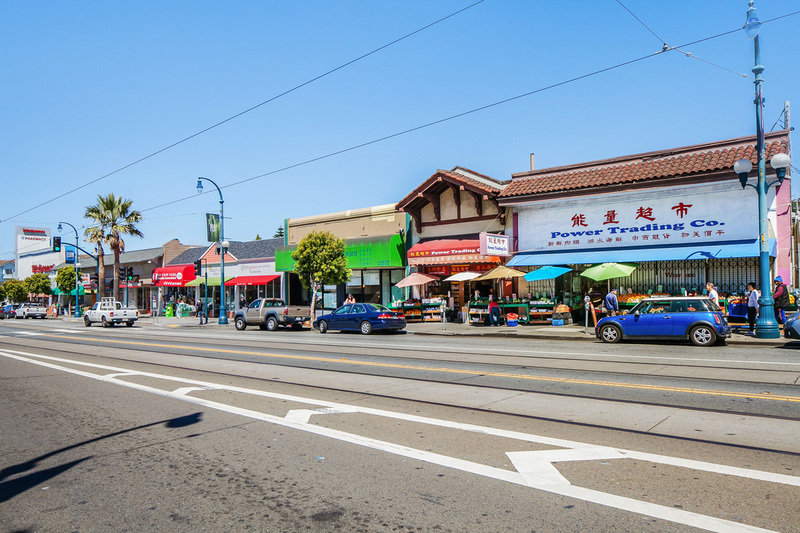 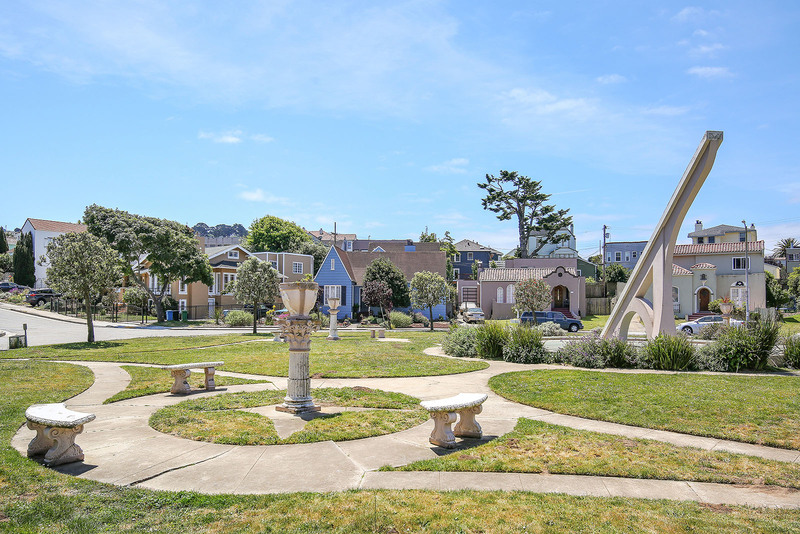 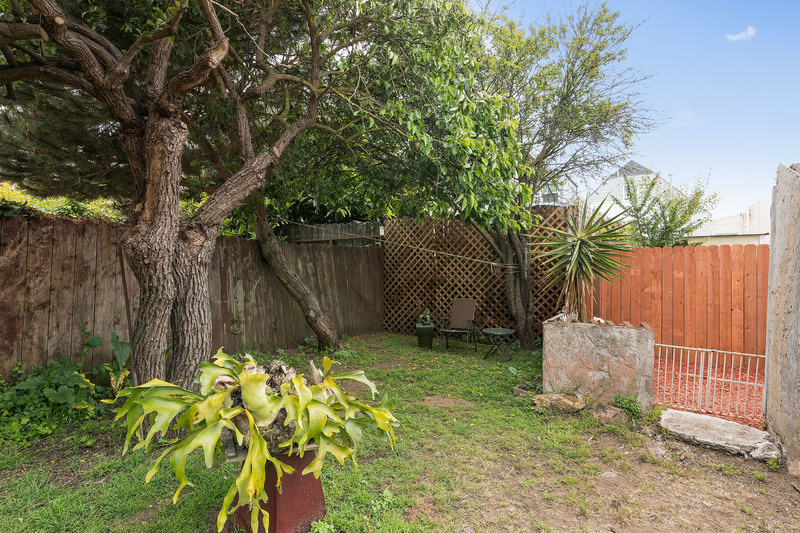 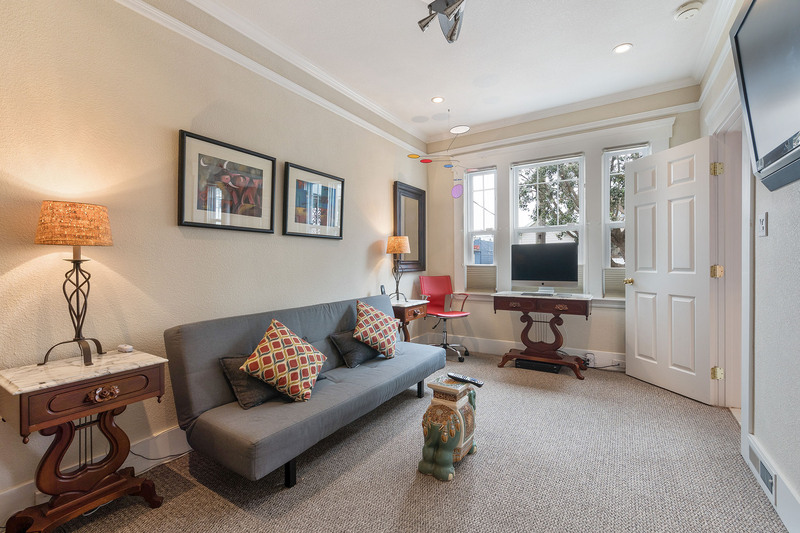 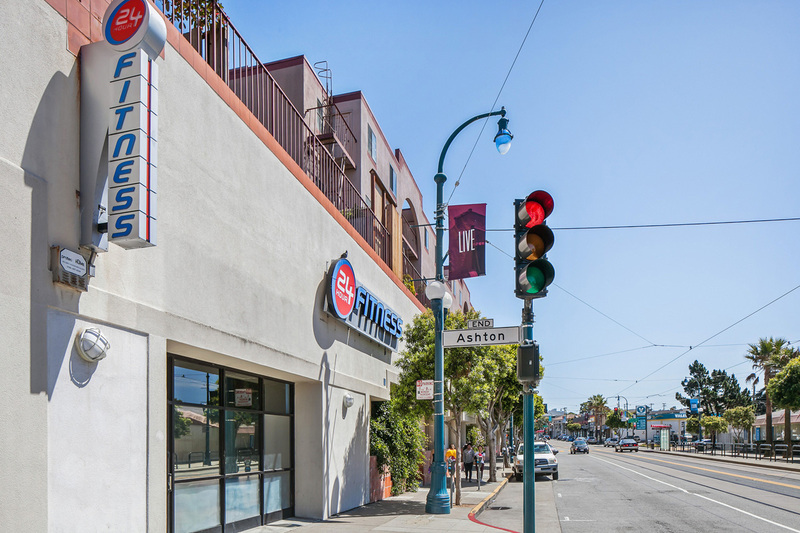 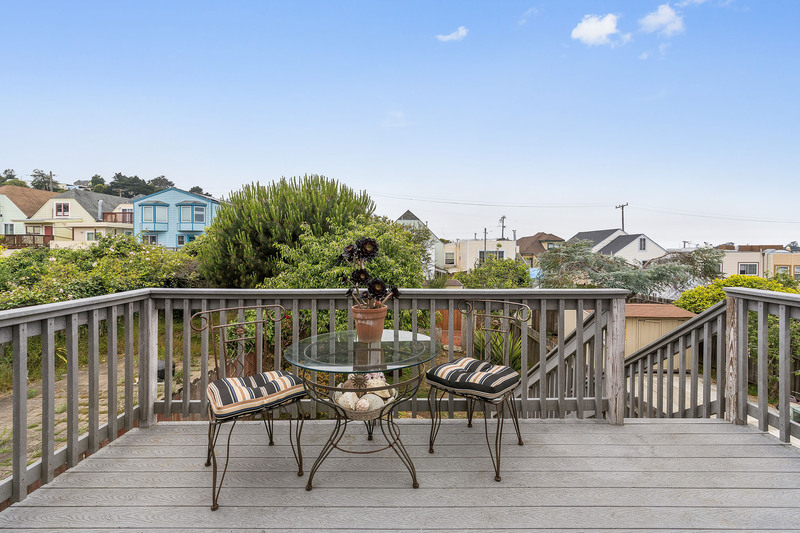 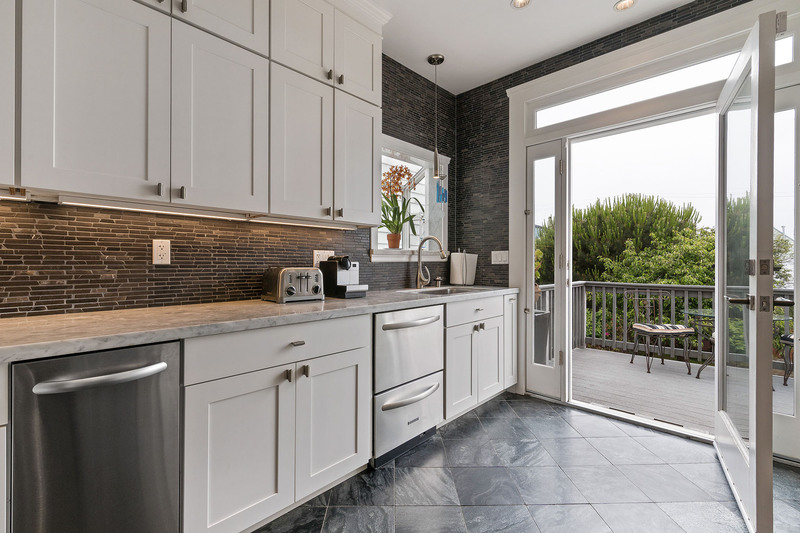 San Francisco’s Ingleside neighborhood offers homes for sale with amenities and conveniences for commuters and their families. 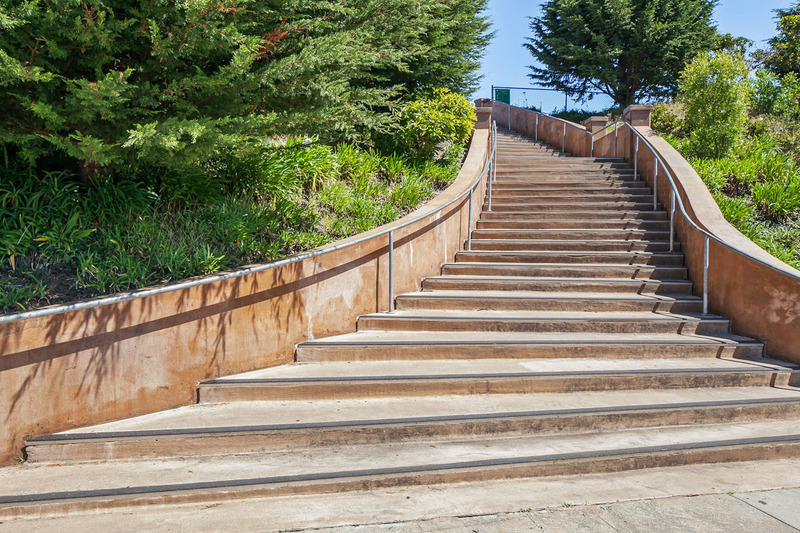 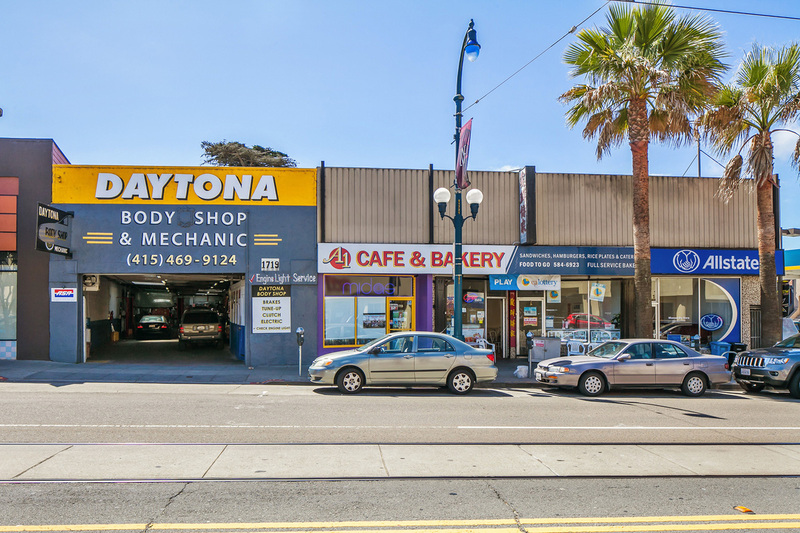 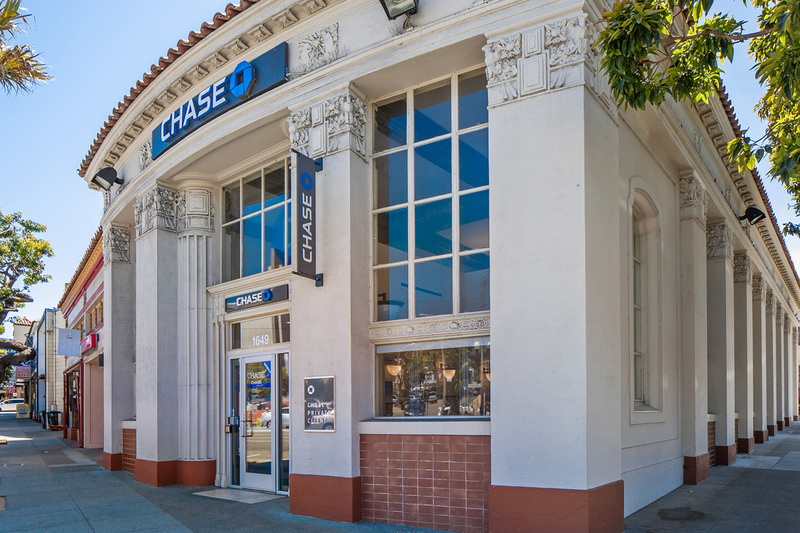 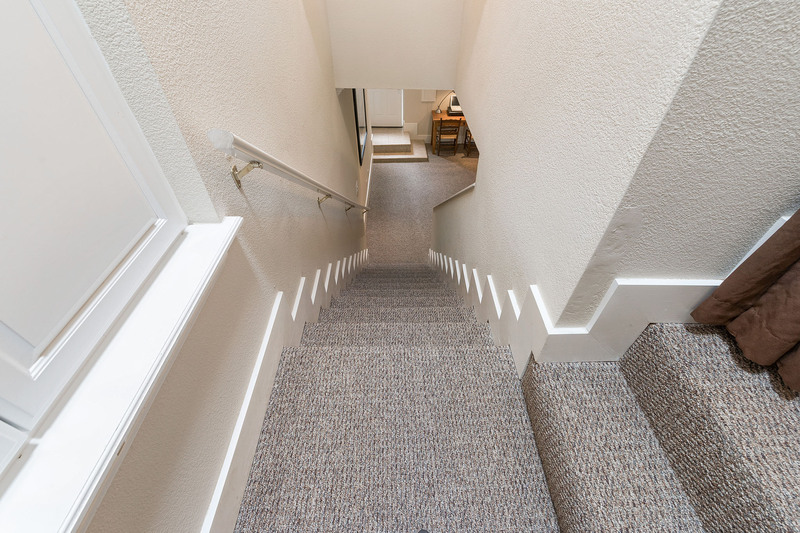 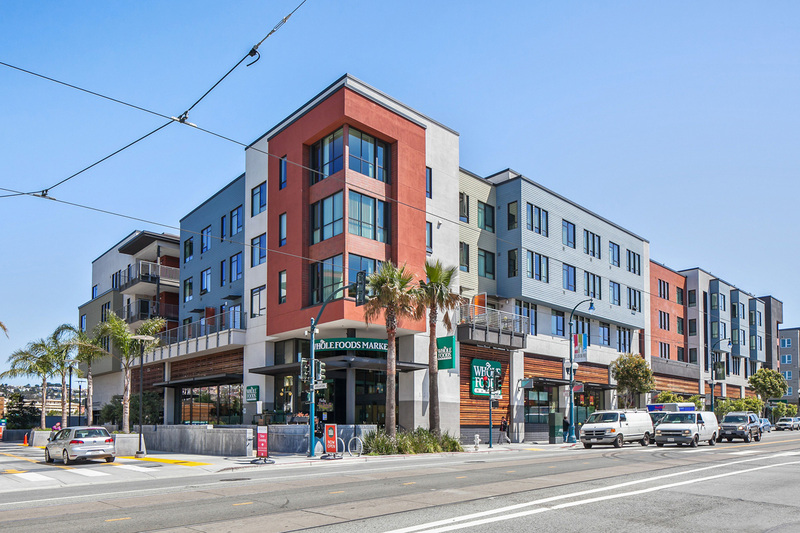 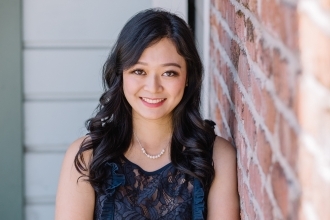 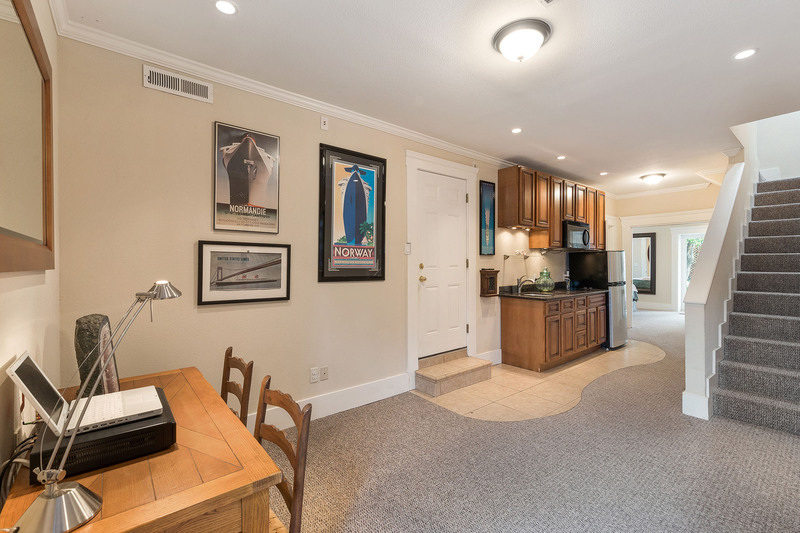 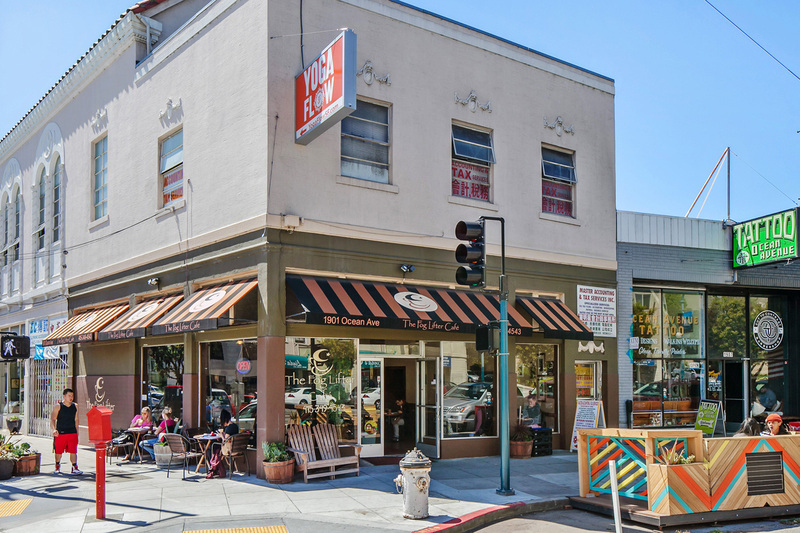 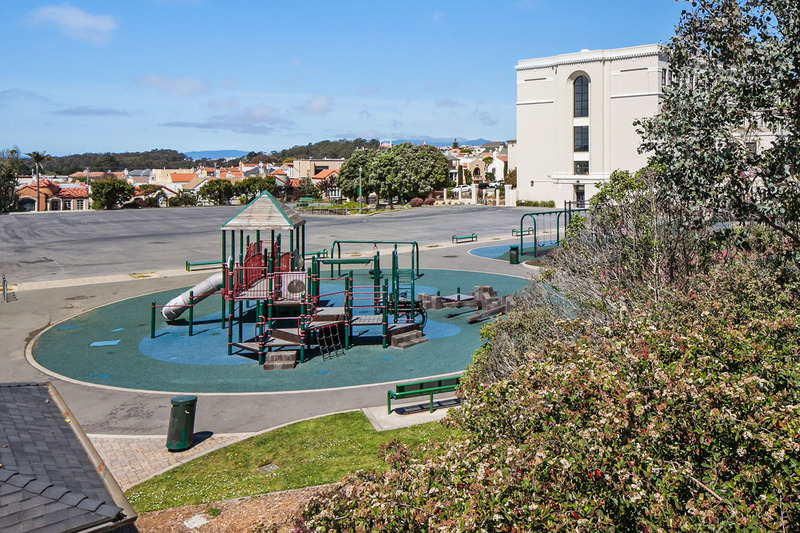 Its close proximity to the 280 freeway, the Bay Area Rapid Transit (BART) Balboa Park Station, 3 Muni rail lines and several bus lines, makes getting just about anywhere around the Bay Area easy and fast. 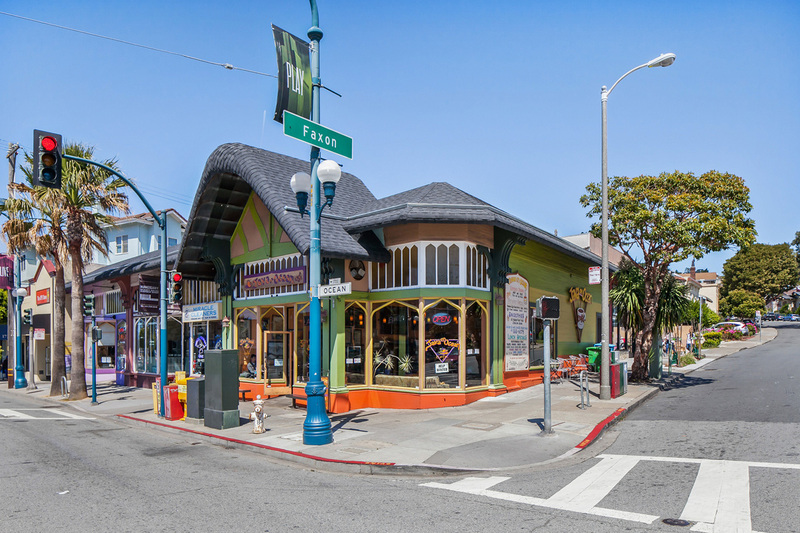 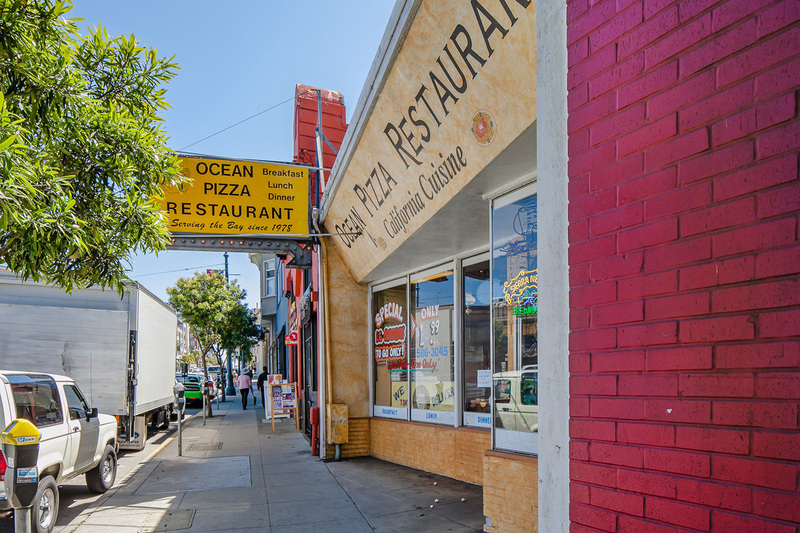 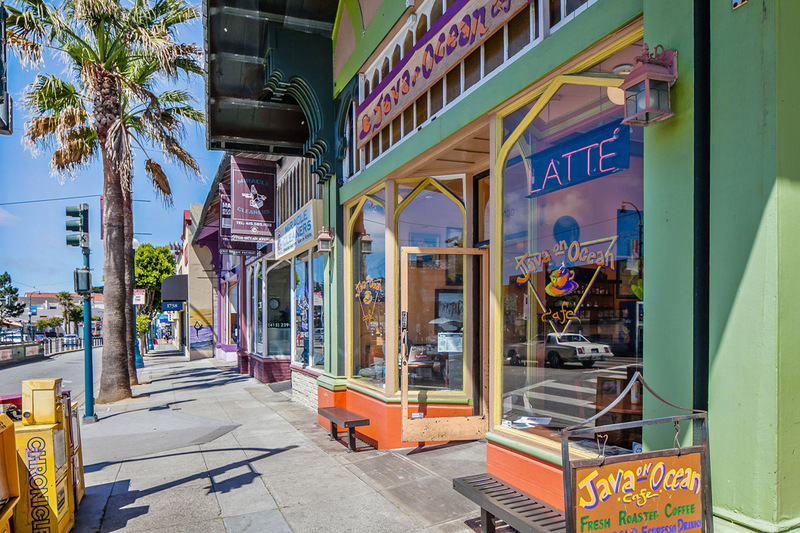 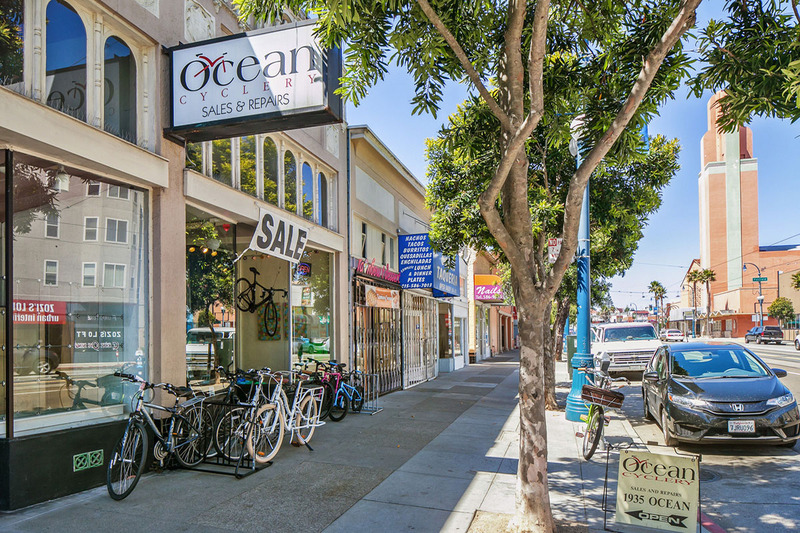 The commercial center of the neighborhood runs along Ocean Avenue, where locals can find a range of shopping and dining. 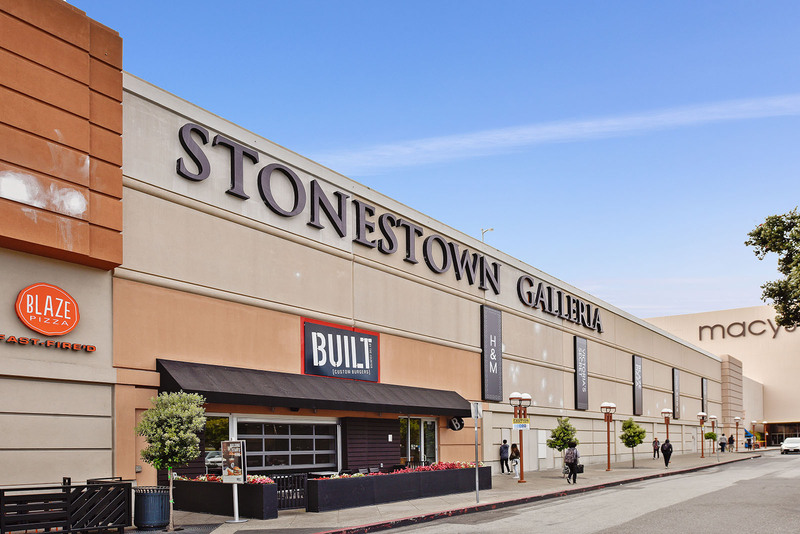 The nearby Stonestown Shopping Center has dozens of large department and specialty stores, including Apple, Macy’s and Nordstrom. 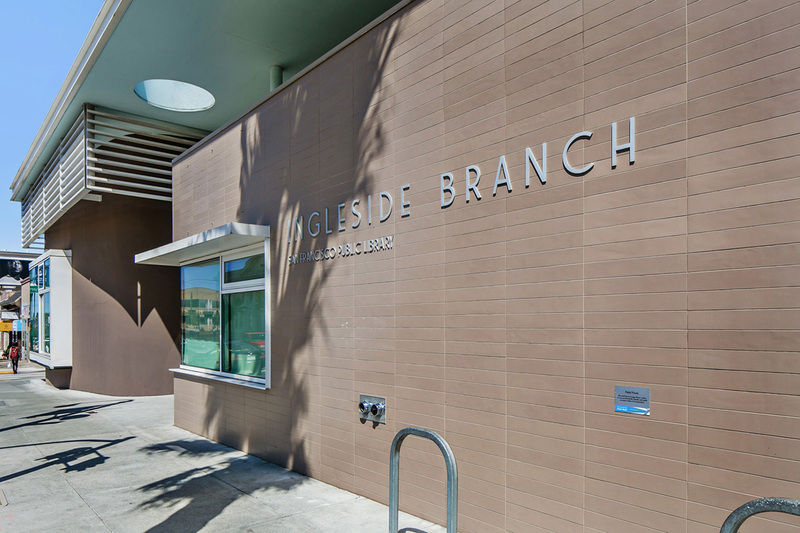 The new Ingleside Public Library offers regular classes and events for tots and teens. 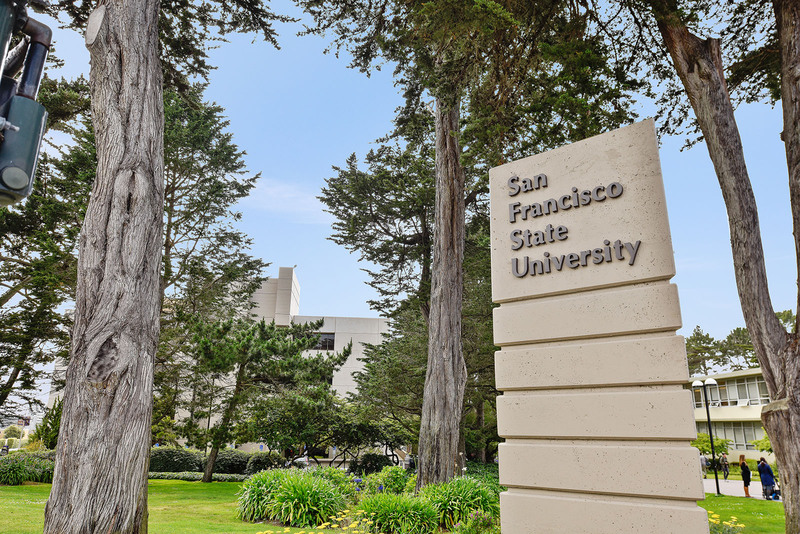 Both the City College of San Francisco Ocean Campus and San Francisco State University are within walking distance. 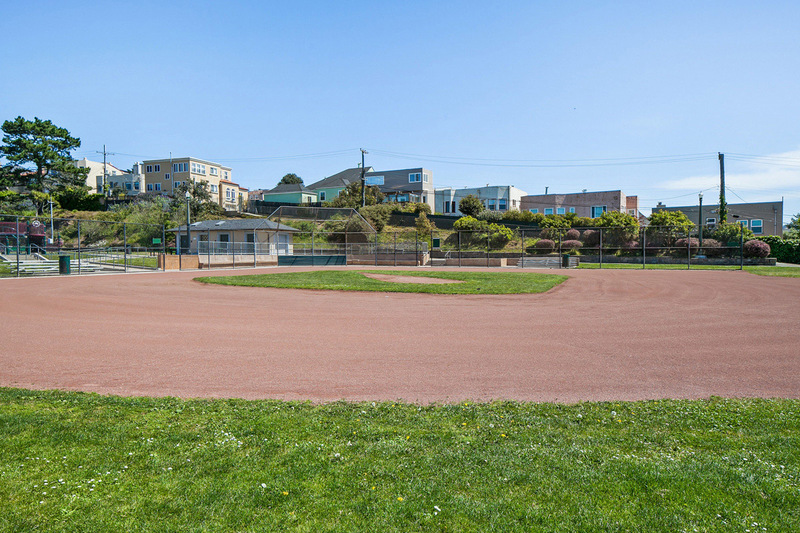 On warm days, residents head for Lake Merced Park where they can fish, rent a small boat or settle into one of the many picnic tables with a barbeque grill. 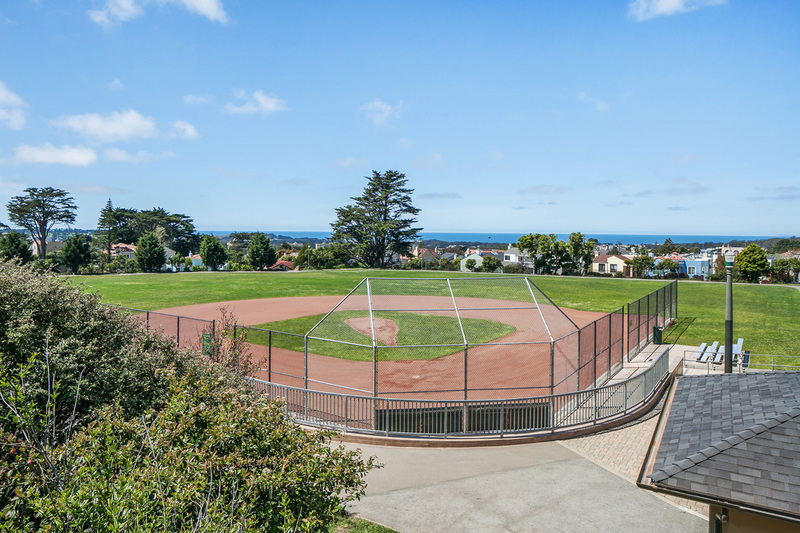 Nearby Balboa Park has a public swimming pool, children's playground, stadium, baseball diamonds and tennis courts. 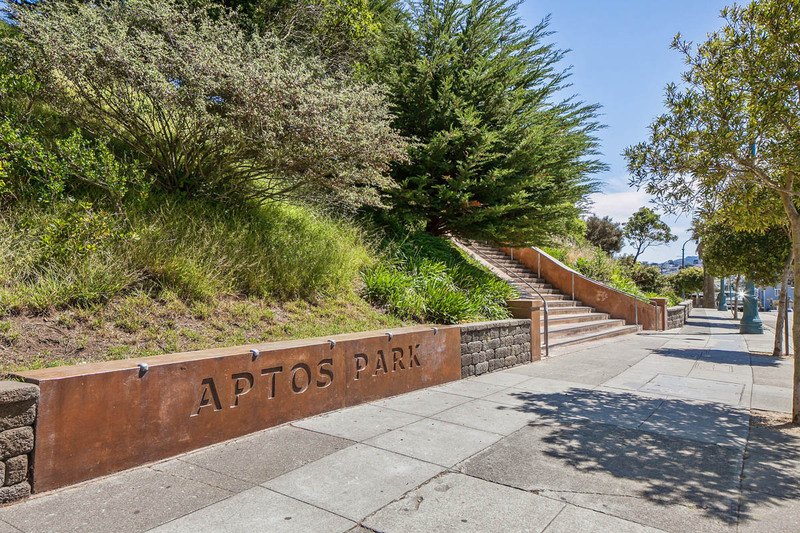 For avid golfers, the private par 72 Lake Merced Golf Club is famous for its steep elevation changes and lush, tree-lined fairways. 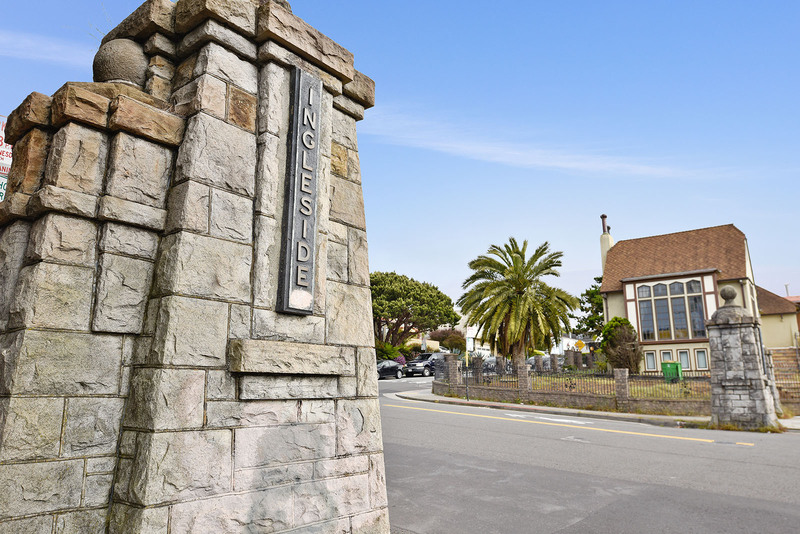 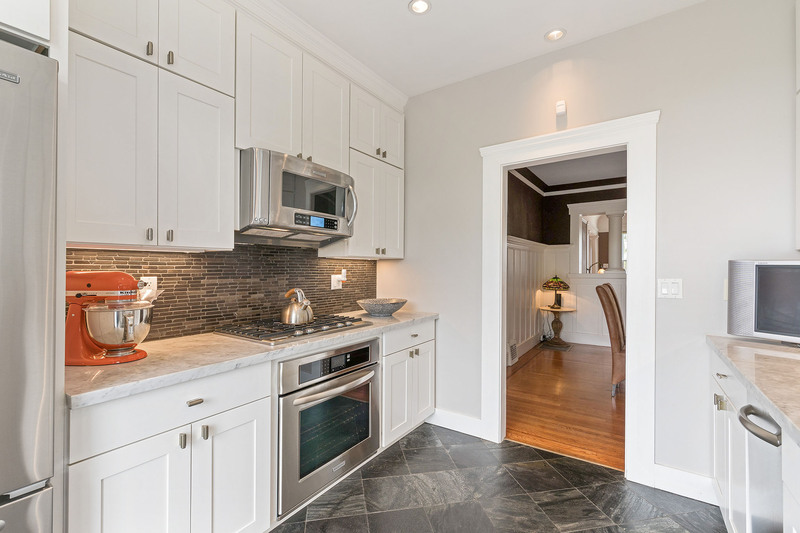 Available homes for sale in Ingleside are perfect for families. 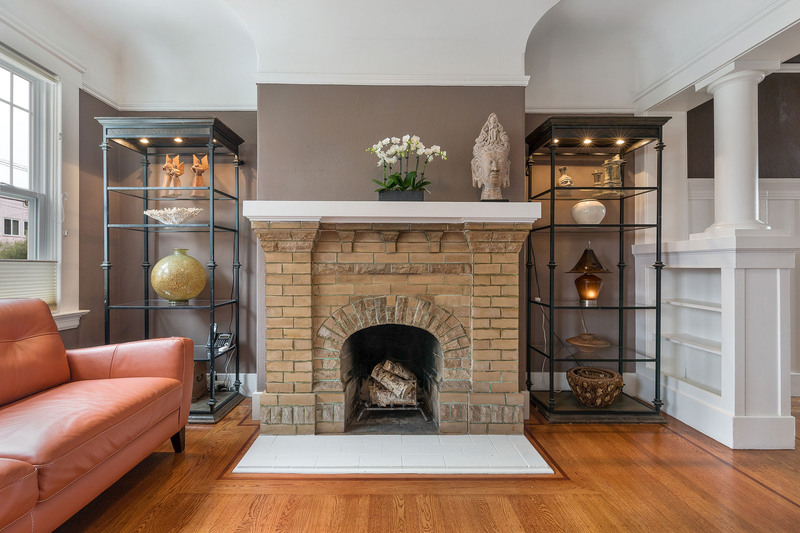 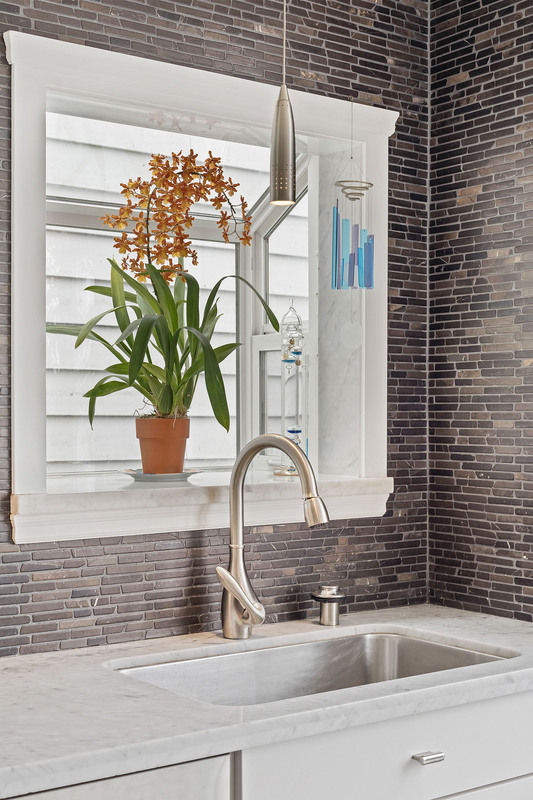 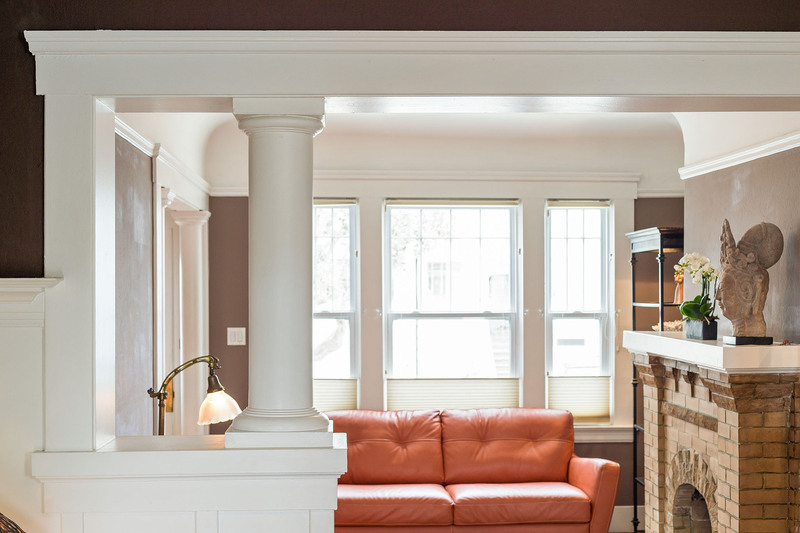 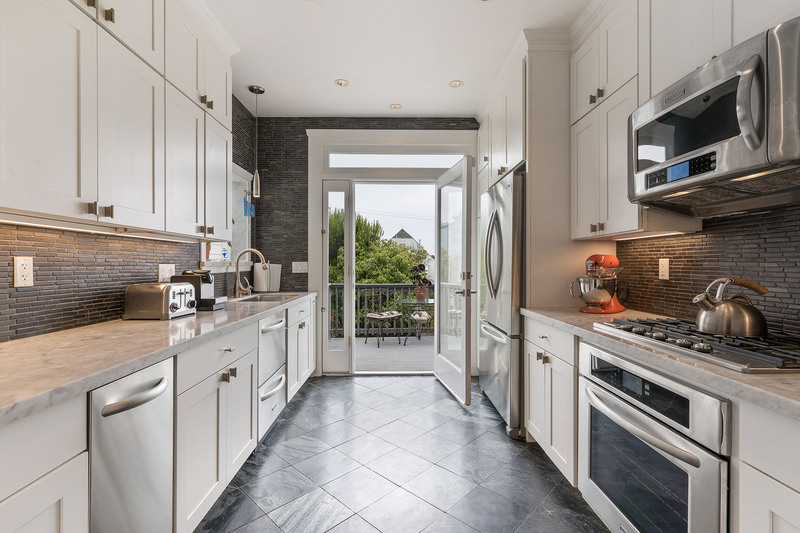 Many have garages, level backyards, gardens, hardwood floors and fireplaces. 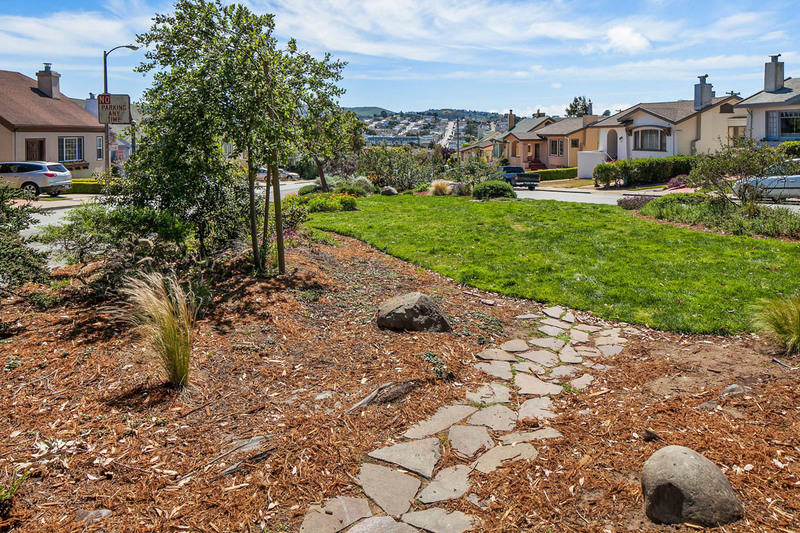 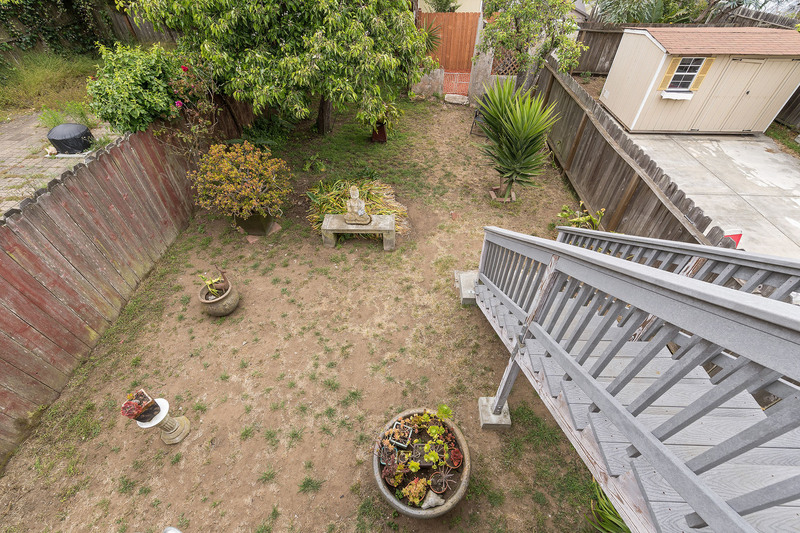 Hilltop real estate provides lovely panoramic views of the bay or ocean.